44 line illus. 10 tables. 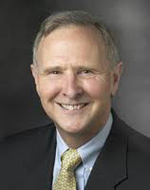 Eric A. Hanushek is a senior fellow at the Hoover Institution at Stanford University and a leading figure in the study of the economics of education. Alfred A. Lindseth is a senior partner with the law firm of Sutherland Asbill & Brennan, and is a nationally recognized expert in school finance law.